What is your fighting style?Which combination of fighting styles would suit you best? This will help you determine which combination fighting class is best for you. Martial arts have now hit the mainstream market. Adding combination training class to your current training or workout will increase strength, stamina and endurance. At the same time, you will enjoy a confidence building experience with reduced stress and anxiety. Our Self Defence course is a dynamic combination of one of the most effective martial arts and which is fastest growing worldwide. This course consists of Best of all Martial Arts going around the world like Boxing ,Muay Thai, Jujitsu , Ninjutsu, Combination Fighting Style , No Rules Fighting Style and Latest Fitness Regimes like Crossfits, Functional Routines, Calisthenics, Outdoor Training. Combination of these Arts and Fitness Regimes will help you achieve a perfect set of skills and even set the stage for professional fighting as well as Street Fighting if you desire it. This course will teach you to strike, dodge, perform grapples and block all in a standing position as well as crouching and lying, If you are in a compromising situation, wrestling skills, Jiu-Jitsu and Ninjutsu can be used to get out of it. 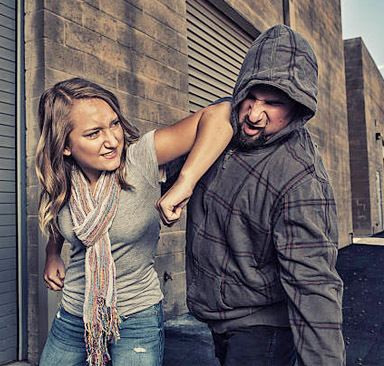 It is an effective discipline our instructors at Be Fit will teach you as a form of self defense. Our course training program is designed for the serious practitioner and for the individual who is looking for a high-powered workout session. You may be the serious practitioner who wants to improve your skill in the ring or someone who wants to push themselves mentally and physically. Our Defence course is a comprehensive martial art techniques derived from the traditional practices of self defense of the Japanese which offers a wide variety of techniques and disciplines. Our classes apply the true methods of martial arts to meet the demands of the world we live in today. The training will consist of a multitude of different situations that will teach you to employ unarmed techniques and combat techniques using weapons or without weapons. You will learn to be environmentally aware, self aware and increase confidence as part of self defense techniques. Our Course is not just a fighting style, it is also to help you develop a more self-assured and positive outlook. It is a technique based on a well tested ancient system of warrior discipline. The training program offered by Be Fit uses a more modern approach to successfully face the type of confrontations and threats in our contemporary culture. We offer individual personal training for clients who prefer undivided attention and also group classes.